Light the Night is here! 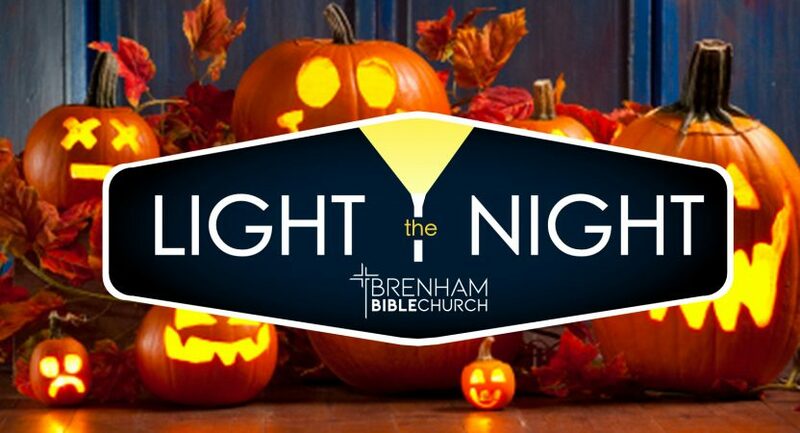 Tonight, October 31st, from 6-8pm BBC will be hosting our annual Light the Night event with games, activities, gospel presentations and more. We have a dozen or more event activities but would love to have everyone who is able in our church family to come out and enjoy this event where we get to actively invite the community in through our doors. Chances are you might even see a business acquaintance or neighbor during the course of the evening. VOLUNTEERS – We are asking that you arrive between 5:15-5:30 pm so we can wrap up final prep work and have a time for prayer before we start at 6 pm. The current weather report shows rain through the afternoon and into the evening, and if that is any indication of how much traffic we will see it should be safe to say, “we will be busy!” Currently, ALL events will be done inside – the high activity events will be in the warehouse while the more calm events will be in the main building. BBC is providing the candy and hotdogs with condiments & buns, but we are asking the volunteers of the stations to come early to set up their station with any decorations or other required items for their individual event – you can come as early as 8:00am but we want all stations ready by 5:30 pm. We will have BBC staff on site all day prior to the event starting to assist everyone in getting their station ready. A full list of stations/events and their locations will be available at the church. Family friendly costumes are highly encouraged – it is always a lot of fun to see what creative minds in our church come up with. We do also have extra flyers at the church for you to pass out if you would like to grab some tomorrow before the event. If you can’t join us, please spend a few minutes today in prayer for our ministry’s faithfulness and effectiveness for the gospel through this event. May we proclaim the gospel with boldness and be a light in the darkness.